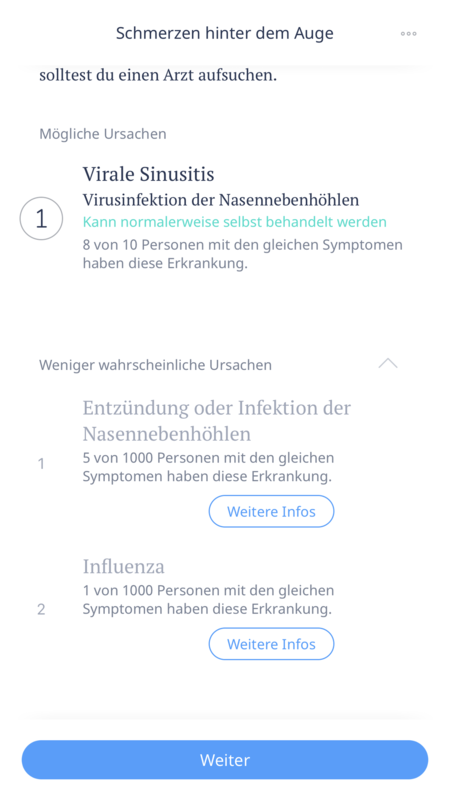 Gesundheitsapps können Infos liefern und in manchen Fällen Leben retten, weshalb ich mal einige Apps getestet habe! Ich habe Ada, die HealthApp von Apple, die Sanitas & Sanitas active App, die Insel Notfall Finder App und die Insel Gruppe Publikations App getestet. Ada ist ein Diagnosetool. Man gibt dort einfach einige Symptome an und dann spuckt Ada mögliche Krankheiten aus. 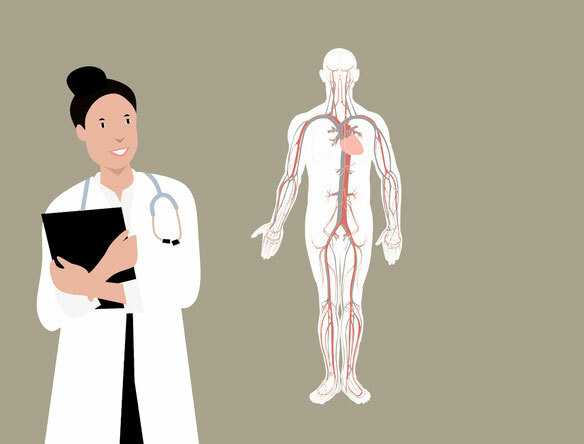 Natürlich sind diese Diagnosen mit Vorsicht zu geniessen, denn man kann selber einige Dinge nur schlecht beurteilen, allerdings wird dies auch angezeigt, dass es sich nicht um eine "Diagnose" im normalen Sinn handelt. 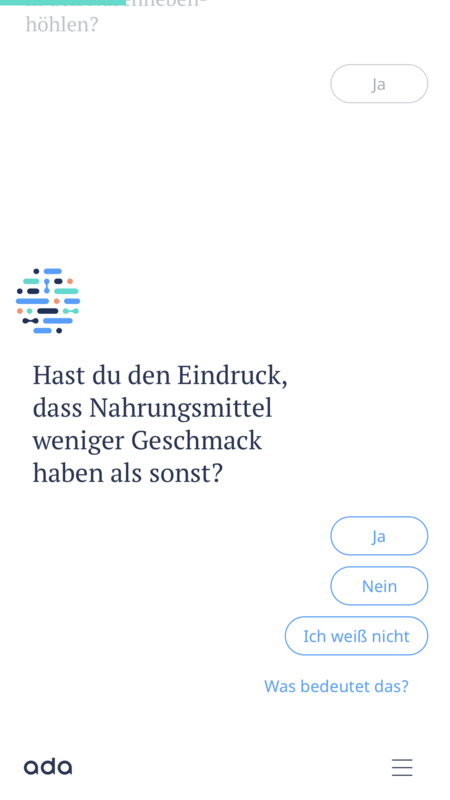 Ada nutzt auch Machine Learning, so sucht sie nach Symptomen die häufig auftreten, wenn jemand ein anderes Symptom angibt. Ich habe Ada getestet indem ich nach Krankheiten gesucht habe. 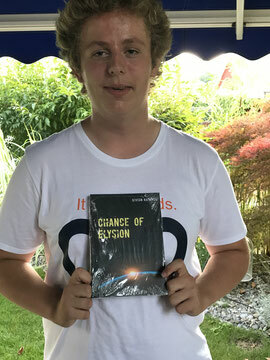 Ich habe mich für die eine Virusinfektion der Nasennebenhöhlen entschieden. Danach habe ich einige Symptome die gelistet waren eingegeben, sowie ein anderes Symptom, welches nicht auf Wikipedia gelistet war. Ich habe auch ein paar andere Krankheiten eingegeben und kam zu einer Trefferquote von 90%. Ich nutze die App selber auch und bin sehr zu frieden. Allerdings ersetzt Ada keinesfalls einen Arzt. Wenn man nun bewusstlos ist oder ein anderes medizinisches Problem hat, ist es die Idee, dass die Rettungssanitäter bzw. 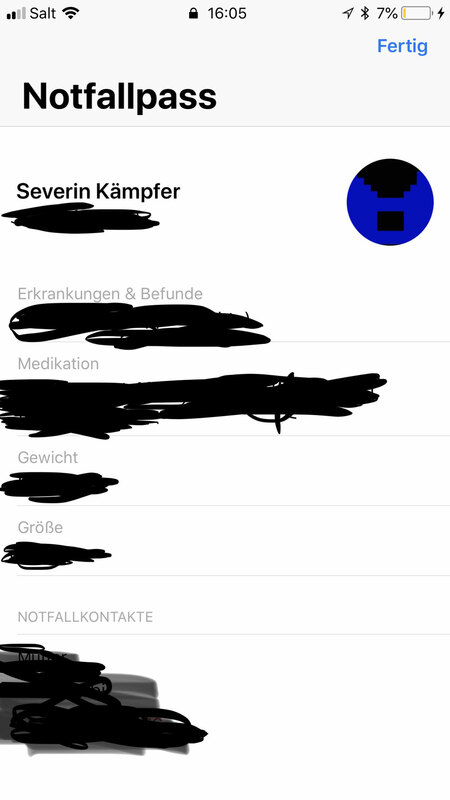 die Ärzte im Spital, auf den Homebutton klicken, auf den Notfallbutton und schlussendlich auf Notfallpass. Dort könnte/kann das medizinische Personal dann die eingegeben Daten sehen, desweiteren wird ein Bild der Person angezeigt. Ein weiterer Vorteil des Notfallpasses ist, dass bei einem Notruf gleichzeitig die angegebenen Notfallkontakte informiert werden. Verfügen diese über ein iPhone, wird ihnen auch noch der Standort angezeigt. Ein Nachteil ist, dass alle Menschen die eingegeben Daten sehen könnten. Eigentlich finde ich die Idee des Notfallpasses sehr gut, also habe ich mal das Inselspital in Bern kontaktiert und gefragt, ob sie den schauen, ob Patienten über ein solchen Pass verfügen. Die Antwort lautet nein, weil es noch zu wenige Nutzer gibt. Es ist zwar nicht die Regel, aber ich könnte mir schon vorstellen, dass später, wenn ein Patient bereits eine Weile dort ist, jemand auf die Idee kommen könnte den Notfallpass zu überprüfen. Das Update aus dem UNZ: Eine flächendeckende Nutzung solcher Apps ist bis jetzt nicht etabliert, da nie sicher ist, ob überhaupt Gesundheitsdaten gespeichert wurden und nach verschiedenen Apps gesucht werden muss. Das ist unter dem gegebenen Zeitdruck nicht immer opportun. Mit der NotfallFinder App kann man einfach den Notruf wählen und Notfallstationen finden. 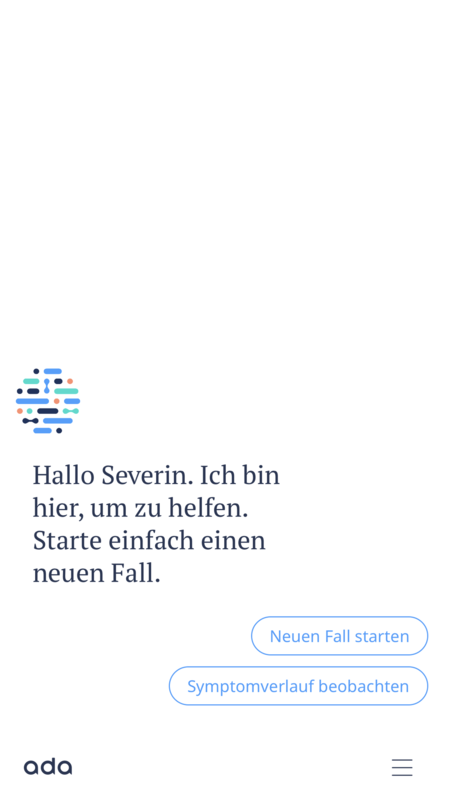 Dabei trumpft die App mit einem sehr simplen und übersichtlichen Design. Die Publikationsapp enthält sehr interessante Informationen. Bei diesen Texten handelt es sich um meine Meinung, alle Angaben ohne Gewähr. This article was helpful, especially the toilet one! Sharing on my Facebook now! This is actually cool, the tips are well made. Good job! I hope to see more tips from you, this is amazing! I'm showing this to my family, so they learn some healthy tricks, they're needing. Amazing... This needs more attention, i rather trust you than Health Apps results! Perfect! Thank you for sharing this post, i really enjoyed reading this, very helpful. Pretty good list, sharing this right now! I noted everything on my notepad, this will be very good to keep me updated when i'm following this good tips or not. Just when I was thinking about the nature of feedback I found your post through a WD facebook link. I’d been thinking about how your article has changed my use of health apps. Loved this. Great article, and some good comments too. I agree that commenting on a comment helps both dialogue and traffic, and this post definitely deserves way more feedback. You bring up some interesting points to consider! Usually I never comment on blogs but your article is so convincing that I never stop myself to say something about it. You’re doing a great job, keep it up. very interesting , good job and thanks for sharing such a good healthy blog! Couldn’t be write much better! I'm waiting for more from you! this is very informative and interesting for those who are interested in an healthy field. Really very happy to say, your post is very interesting to read. I never stop myself to say something about it. You’re doing a awesome job. I learned new information from your article, very useful. So perfect. This gives a clear idea of healthcare and our attention we need to pay. Waiting for your next post! This is great advice! Very honest and practical. 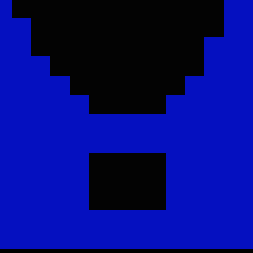 Sharing this on my media! You deserve it! Thanks so much for a detailed post! It is very helpful. Your post is so helpful to avoid the mistakes. I am looking for some good blog sites for studying. I was searching over healthcare and found your blog site. Well i like your high quality blog site design plus your posting abilities. Keep working in this! very helpful , excellent job and thanks for sharing such a good health based post. This will help me so much in my school work! Thank you so much!!! I’ve bookmarked it in my google bookmarks, and shared on Twitter. Your content helped me a lot to take my doubts on point, thank you very much!! I loved this important post, I will show this to my teacher, she'll definitely love it! I think this is an informative post and it is very useful and knowledgeable. I really enjoyed reading this post. big fan, thank you for keeping me updated on this apps! Writing a blog post is really important for growth of your website. Thanks for sharing amazing tips. Following this steps will transform the standard of your blog post for sure! Love your site. My big thanks for doing such a good job. I will come back to read more and inform my coworkers about your article. Wonderful blog. Lots of useful info here. I’m sending it to several pals as a additionally sharing to help you. And obviously, thanks, this is sweet! Good article and right to the point. Couldn't be any better. Wow, marvelous weblog layout! How lengthy have you been blogging for? you made blogging glance easy. The overall look of your website is fantastic, as well as the healthy content! Great post. Articles that have meaningful and insightful comments are more enjoyable, at least to me. It’s interesting to read what other people thought and how it relates to them or their clients, as their perspective could possibly help you in the future! Hello, the whole thing is going perfectly here and of course every one is sharing information, that’s truly good, keep up writing! Hey there, You have done a fantastic job. I’ll definitely share it and personally suggest to my friends. I am confident they will be benefited from your post! I like the way you made this article. Short but juicy and healty. Thanks for sharing! That’s wonderful. many things to learn. thanks for sharing with everybody! Very good explanation. Thanks for your article, it's always good to find articles like yours! Keep posting and writing interesting stuff! I'm sharing this on my social medias, everybody deserves to know about your awesome blog! Bookmarked and shared, very helpful!!!!! I was about to comment but I already see you're having an awesome feedback!! Loving this post, it's very informative and useful, congratulations for having such a perfect article! Looking great work dear, i really appreciated to you on this quality work. Nice post!! these tips may help me in my future. fantastic one! Thanks for your helpful instructions, appreciate it! Sehr interessanter Artikel. 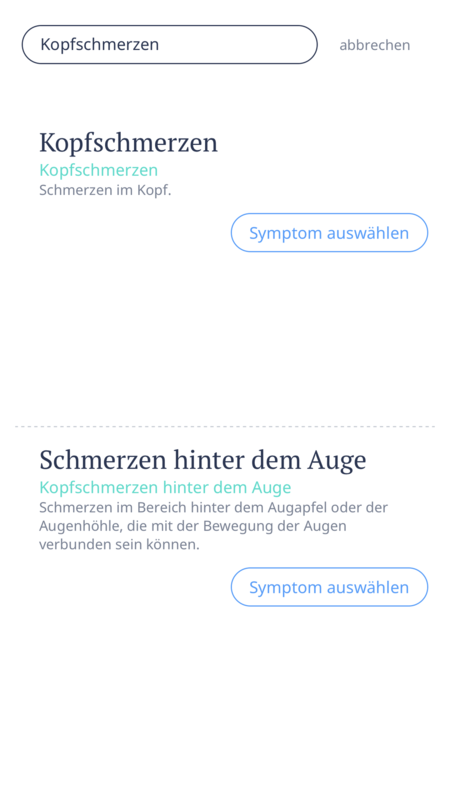 Ich selber gehe das Risiko gerne ein, dass jemand an meine Health Daten kommt, wenn eine solche App mir das Leben retten könnte.